From 27th May / 9th June to 3rd / 16th June, the plenitude of the Hierarchy of the Russian Orthodox Church Outside of Russia gathered in the Convent of Grand Duchess Elisabeth the New-Martyr in Buchendorf, Germany, for the meeting of the Sobor of Bishops as well as the consecration of the Munich Cathedral dedicated to the New-Martyrs and Confessors of Russia. 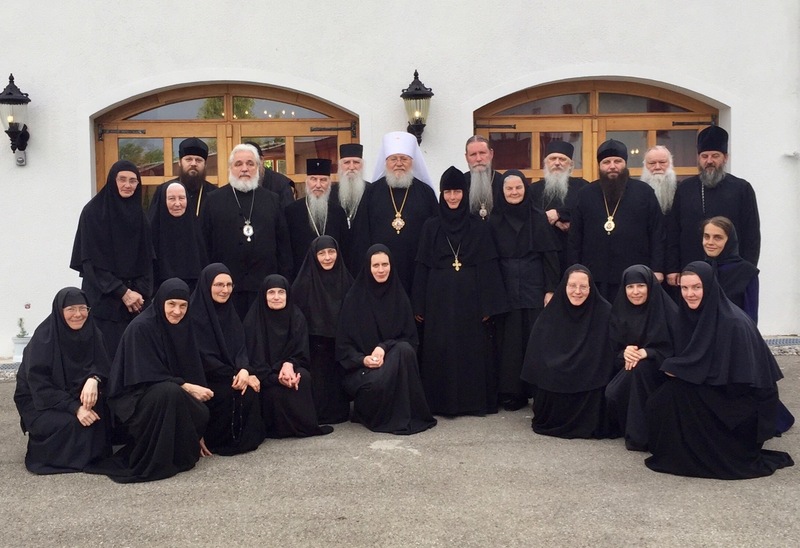 The three Hierarchs of the Western American Diocese — His Eminence Archbishop Kyrill of San Francisco and Western America, His Grace Bishop Theodosy of Seattle, and His Grace Bishop Irenei of Sacramento — participated in these holy events, being joined by the nine other members of the Sobor of Bishops. 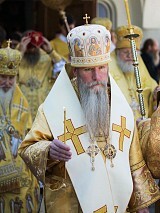 All sessions of the Sobor were chaired by His Eminence Metropolitan Hilarion of New-York and Eastern America, First Hierarch of the Russian Church Abroad, and took place before the holy Kursk-Root icon of the Theotokos, following a daily celebration of the Divine Liturgy in the Convent Church. The Sobor dealt with the variety of aspects of life in the Russian Orthodox Church Outside of Russia. These included reports and discussions on each of the Dioceses of the Church; the lives of ROCOR’s monasteries throughout the world, together with its seminary and schools; the work of the Ecclesiastical Mission in the Holy Land and its various institutions; financial and practical matters regarding Church administration; clergy roles, assignments and awards; and a host of other matters. Of special note was the significant attention paid to fostering the Church’s work with her youth, to which was granted one of the lengthiest sessions of the Sobor and in which the extensive youth works of the Western American Diocese were highlighted; as well as the ROCOR's spiritual identity in the twenty-first century, and the beginnings of works leading towards the solemnity of the 100th anniversary of its beginnings, to take place in 2020. It was noted that this Sobor, taking place in the year of the tenth of the anniversary of the signing of the Act of Reconciliation between the Russian Orthodox Church Outside of Russia and the Moscow Patriarchate, marked a significant occasion in the life of the Church, for which the gathered Hierarchs gave thanks in prayer before God. 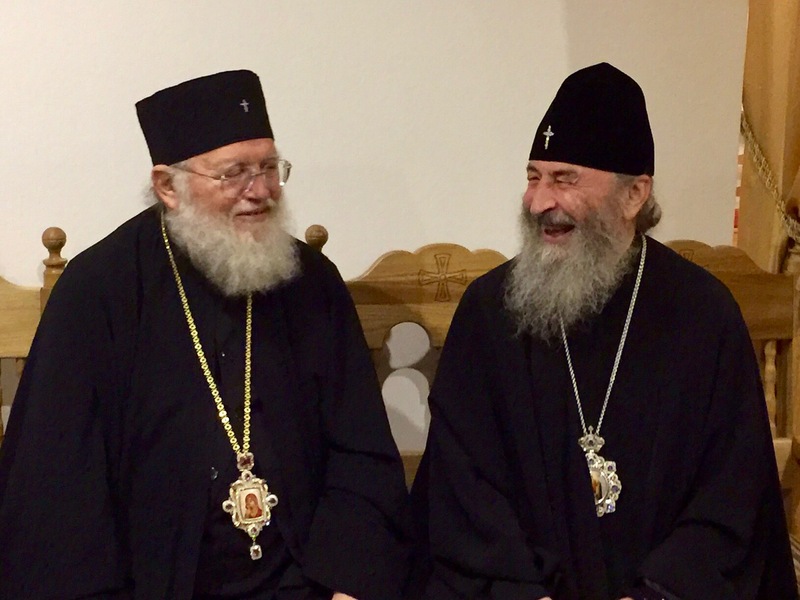 To mark the occasion, the Sobor determined to request of His Holiness the Patriarch of Moscow the awarding of a second panaghia to His Eminence Metropolitan Hilarion, and received with gratitude and approval a letter from His Holiness, bestowing this award, which was read aloud at one the meetings. 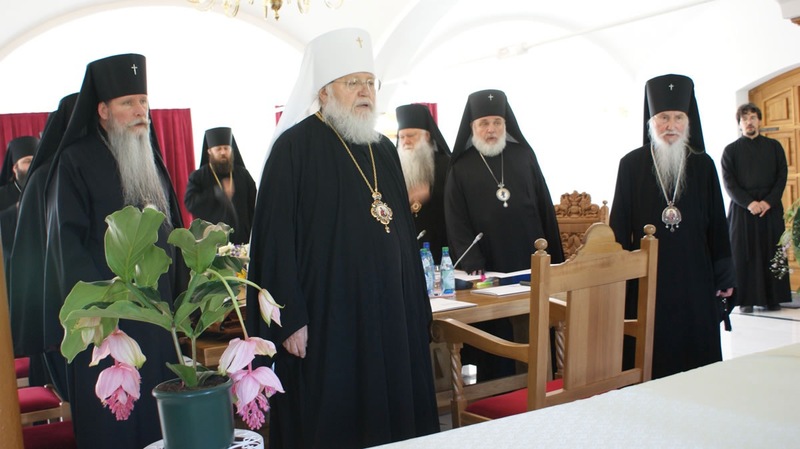 During the course of the sessions, His Eminence Archbishop Kyrill was re-appointed as Secretary of the Synod and remains as Second Vice-President of the Synod of Bishops. His Grace Bishop Theodosy was made co-Secretary of the Sobor, assisting in its records and in the various documents and epistles of the meetings. His Grace Bishop Irenei was appointed as a Regular Member of the Synod of Bishops, to serve as Secretary for Inter-Orthodox Relations, and was also made Administrator of the Diocese of Great Britain (he will continue to reside in California as Vicar of the Western American Diocese). 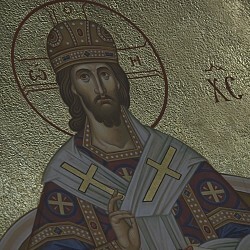 Several other appointments and awards were made during the Sobor, of which more detailed accounts can be obtained on the Synod web site (www.synod.com). 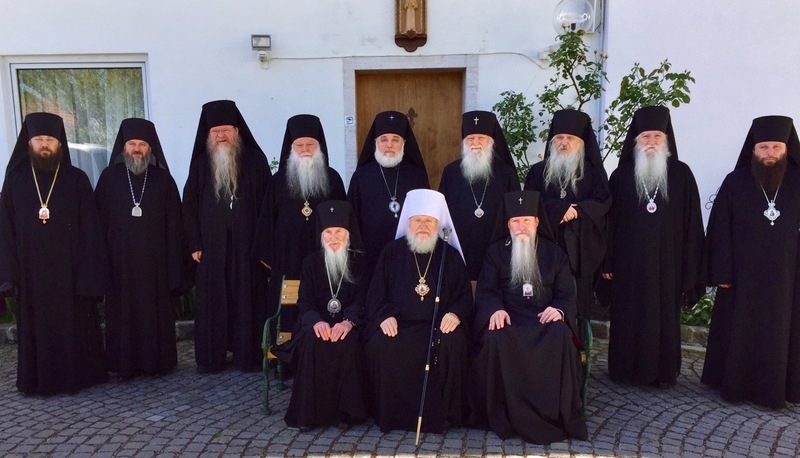 As is customary, the Sobor of Bishops, in attending to the various pastoral and administrative matters of Church Life, also composed numerous epistles — first and foremost to the flock of the Russian Orthodox Church Outside of Russia, as well as to His Holiness Kirill the Patriarch of Moscow, the President of the Russian Federation Vladimir Putin, the Chancellor of Germany, and the Mayor of the region of Germany in which the Sobor’s sessions were hosted. 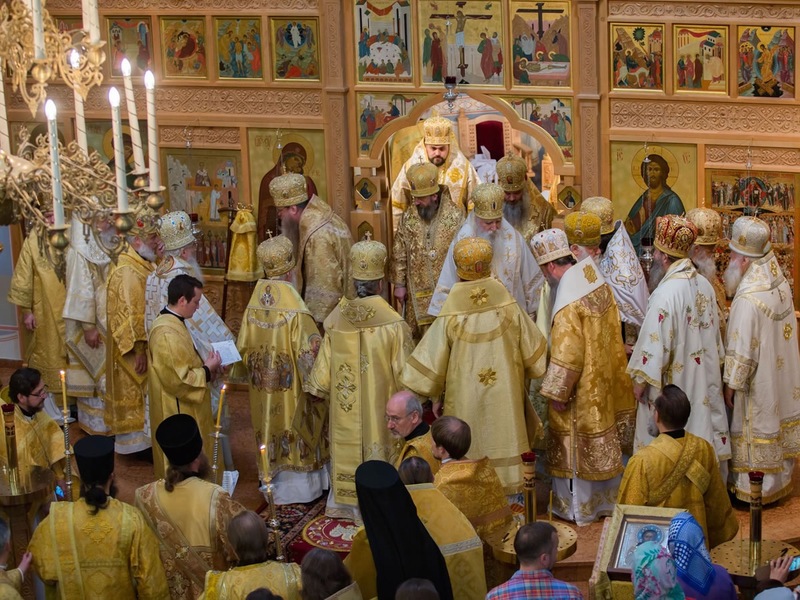 Following the conclusion of the Sobor, the assembled Hierarchy of the Russian Orthodox Church Outside of Russia were joined by His Beatitude Metropolitan Onuphry of Kiev and All-Ukraine, together with a host of other Hierarchs from Ukraine, Serbia, Romania and elsewhere — totalling nineteen Hierarchs in all — for the Great Consecration of the main altar of the Munich Cathedral in honour of the New-Martyrs and Confessors of Russia, on Thursday 2nd / 15th June. The solemn rites were presided over by His Beatitude, and at the conclusion of the Liturgy, a Gramota from the Sobor of Bishops was presented to His Eminence Archbishop Kyrill by Metropolitan Hilarion, on behalf of all the Hierarchy, congratulating Archbishop Kyrill on the twenty-fifth anniversary of his episcopal service. A joyful outdoor banquet followed the conclusion of the Divine Liturgy, marking both the joyous occasion of the Cathedral’s consecration, as well as the conclusion of the Sobor’s activities.